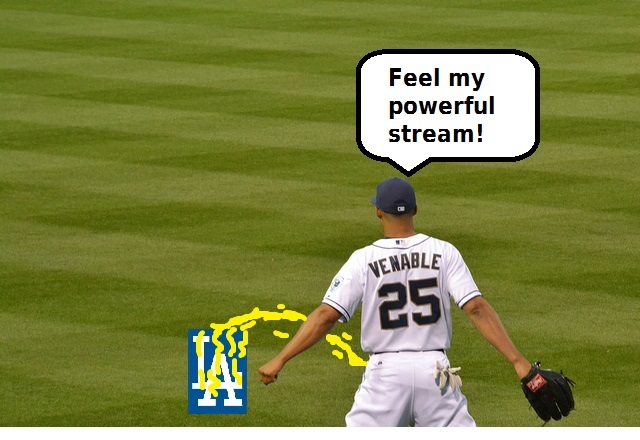 To celebrate the long awaited home opener, we bring you our expert prediction via MS Paint illustration of today’s game. The Padres can’t possibly start the season 1-6. Right? RIGHT?!?! Let’s hope Clayton Richard can gain somewhere between 5 and 25 miles per hour back on his fastball compared to his last start. Padres Jagoff will be in attendance at this inevitable Padres victory.